WHAT A DAY ON GRAND LAKE !!! 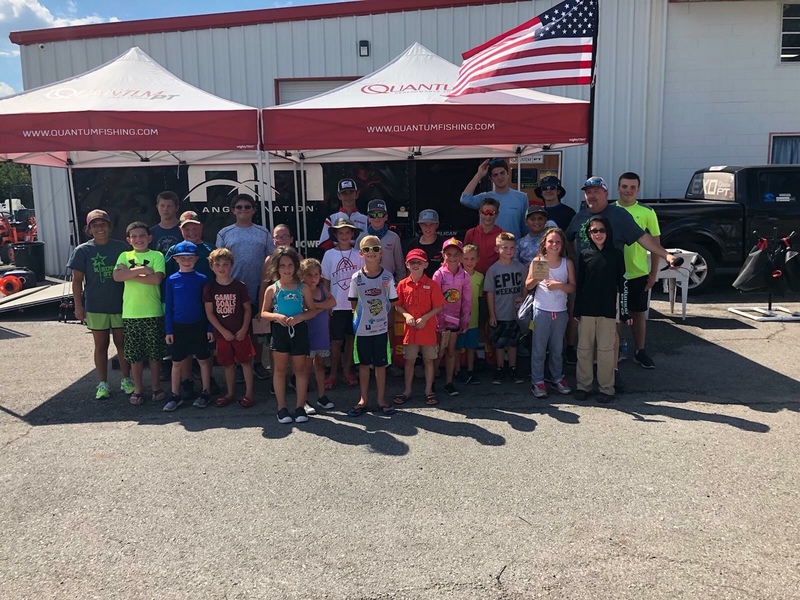 The second stop of the 2019 tour on Grand Lake O' the Cherokees was not a disappointment, taking the weather aside. Wade Goings and Brett Fite were right behind them with 20.22 lbs in 5 fish paired to a 6.00 kicker, and still not the big !! Kyle Mullins and Jimmy Thompson put their Quantum Smoke reels to work and caught 5 fish for 20.22 and a 6.29 big that wasn't the event big..
Keith Allen and Jeff Montgomery brought the big girl home tipping the scales at 7.85 toppling Brandon Phillippe and Tony Grubbs Keystone Giant. If this holds for the year their 2020 membership is on us !! Overall we weighed 294 lbs of fish with an average team weight of 8.92. There were 9 limits weighed and 10 fish over 5lbs. With all the talk about Grand Lake and how tough it is she can still drop a sack on you at any moment. Thanks to everyone that came out to fish. The weather was tough and we look forward to seeing you on Tenkiller April 27. PICTURES WILL BE UPLOADED AS SOON AS THEY ARRIVE !! Team | Bass - Path To The Classic. Finish highest in the points and you will be qualified to fish the BASS TEAM CHAMPIONSHIP with a chance to fish your way to the Bassmaster Classic. Ryan Butler clinched the final Bassmaster Classic spot for the 2017 season, and will be headed to Lake Hartwell March 16-18 with the chance of a lifetime. Pelican - will once again be a premier sponsor for the 2019 season. We all have come to know their brand as the most durable brand to protect anything you own. When you cant afford to lose it, put it in a Pelican. Backed by the lifetime, "You break it - We replace it" warranty they match up well with our brand of fishing. LTW CASH - What a deal.. Had a hard day on the water - no worries. Though another round of generous donations from an original member of the club we are proud to offer the Lowest Total Weight (LTW) payout. Bring the lowest total weight above zero with legal fish to the scales and get paid $200.00. Several teams put this money in their pocket last year and it was extremely popular. We have been hard at work putting our schedule together and working with our sponsors to bring you another successful season in 2019. The final schedule has been released and we have confirmed all the dates. There is much more that we can reveal in the coming days as we prepare for 2019. We appreciate everyone's patience and understanding as we work to make this the fastest growing team trail in Oklahoma. Brandon Ackerson - Bill Gaddis Hoist the Crown !! Fort Gibson was not kind. It was not even a little mean.. It was down right RUGLY, that is OKIE for REAL UGLY. 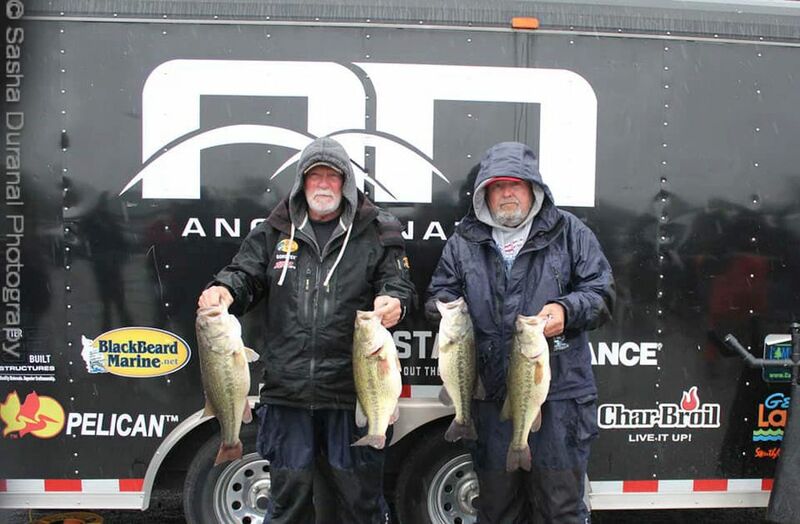 We saw a lot of 1 fish bags come to the scales, but Brandon Ackerson and Bill Gaddis hung on to a 15.45 day 1 lead and followed it up on day 2 with a solid 9.96 for a two day total of 25.41. They take home $3200.00 plus the $420.00 side pot coin..
Day 1 Big fish went to Team 141 Pratt / Wilhelm weighing 5.80. That will get them $500 tomorrow for sure.. There is so much more to say, but for now its to the house for some rest and a follow up call to the champs and see how they caught them..
Will be one more benefit of fishing the Angler Nation in 2019. 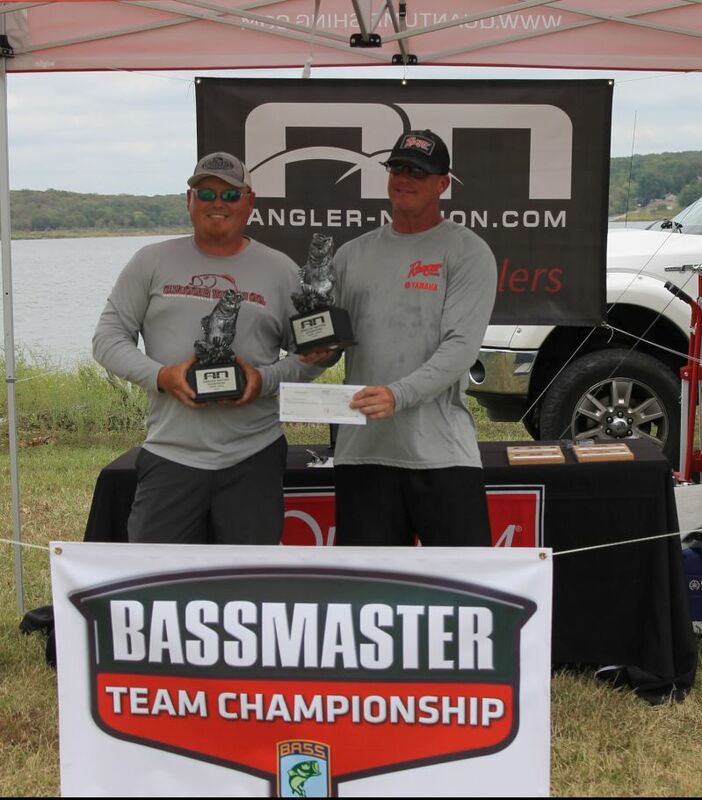 This means that for $60 per man membership and $100 entry fees we will qualify teams to fish the BASS TEAM CHAMPIONSHIP on a lake to be announced later in the year. Fish the #AnglerNationTeamTrail , and we will qualify 1 team every 25 teams based on the AOY standings for the Bass Team championship. Fish the Bass Team Championship. the top 3 teams ( 6 anglers) will fish-off for the one spot in the 2020 Bassmaster Classic. You must fish with a team member in our local trail. You are required to pay a $10 Bass Team Trail membership which we will include as part of your $60 membership. this will give you a subscription to the Bass Times Magazine for a full year. Qualifying teams will be responsible for all costs associated with fishing the BTC. If for some reason you cannot attend the Bass Team Championship we will invite the next team on the list..